For all 218 hotels with family rooms in Milan, we show actual room availability. One should not forget about the nightlife of Milan – the city is home to numerous clubs and bars that will surely suit every taste. Alcatraz night clubs often hosts performances of well-known DJs. The music style of this club changes all the time. Despite the fact that American Disaster club is mainly plays the music of the 70s – 80s of the last century, it is one of the most popular establishments among young people. The reason for this is festive and relaxed atmosphere. Fans of rock should definitely not forget to spend the evening in L'Angelo Nero club. The design of the club resembles a dark gothic castle and all details of interior are very thoughtful and atmospheric. A gorgeous bar follows the grim theme of this venue. The names of cocktails here speak for themselves: "The Black Angel", "Blood of Satan" and pizza with the mysterious name "Three sins" are the favorite orders of fans of hard rock and metal. Gasoline club is a much more romantic and tranquil institution. The music here doesn’t stop till morning. The program in this club is carefully selected, so it will please fans of various music styles. The club often hosts interesting dance shows and performances of popular music groups. Several times a week here are organized theme parties, which attract not only tourists but also locals. Please do not hesitate to get in touch with us (via the contacts below), while booking a children-friendly hotel in Milan with family rooms. 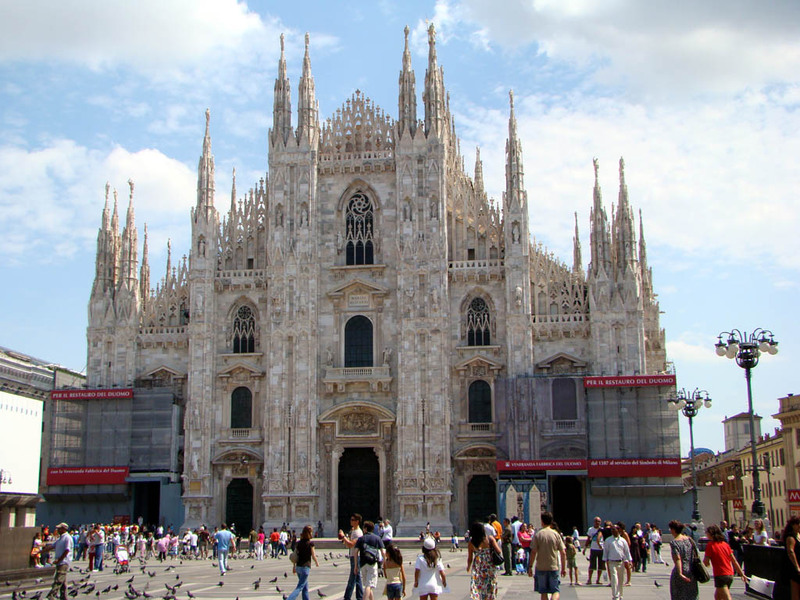 In Milan, we provide 218 family hotels at affordable rates. Save your family budget - make your vacation stay with your family in Milan, Italy comfortable and cheap.